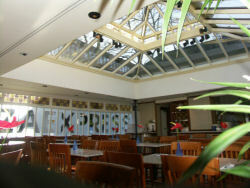 The whole of the ground floor is tiled with marble perimeters and a central feature to the conservatory. 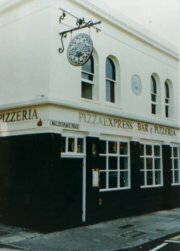 This old Public House was completely demolished apart from the front and side walls. 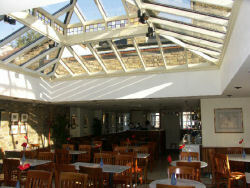 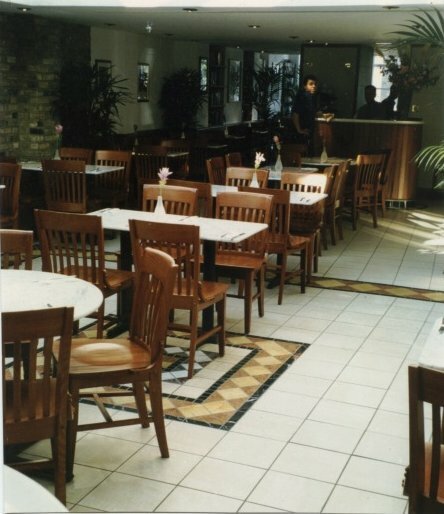 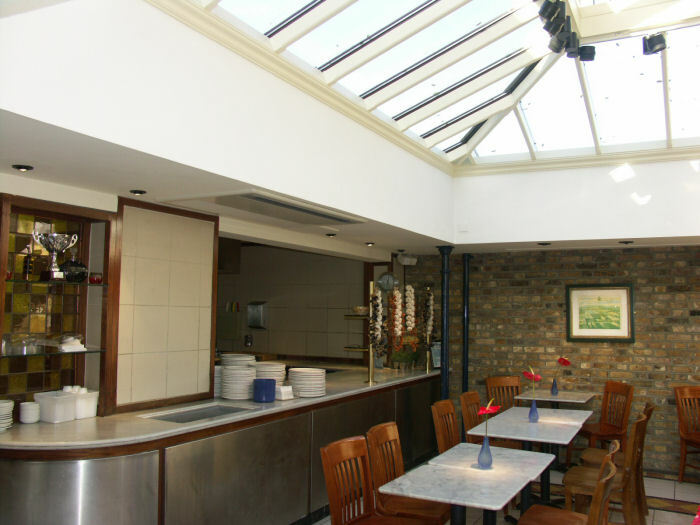 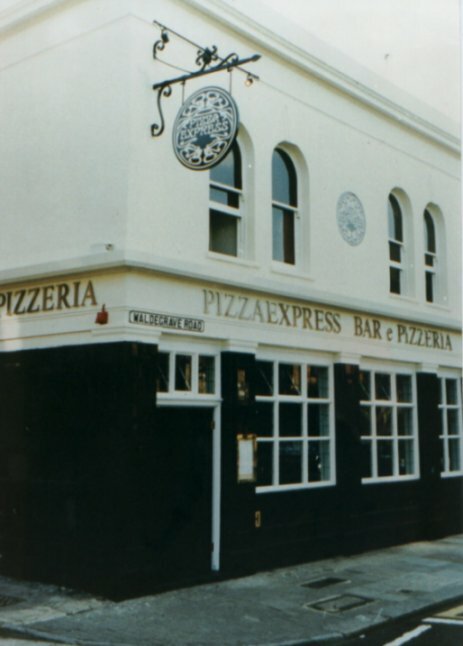 The rear yard enclosed with a large conservatory and the old outhouse became the Pizzaiolo and kitchen area. 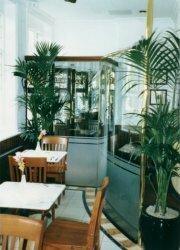 The original double doors serving the "public" and "saloon" bars were reused and lead into a lobby with a curved glass screen. 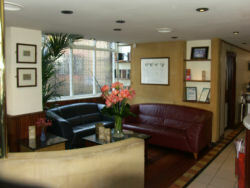 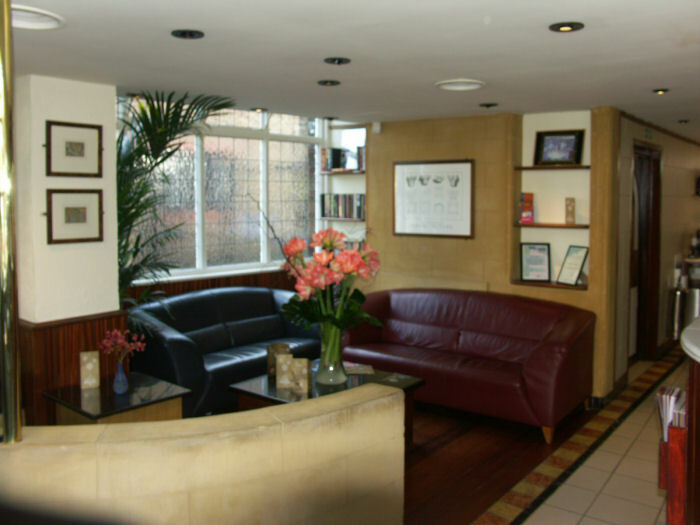 A lounge area is provided just inside the entrance foyer with bar adjacent. 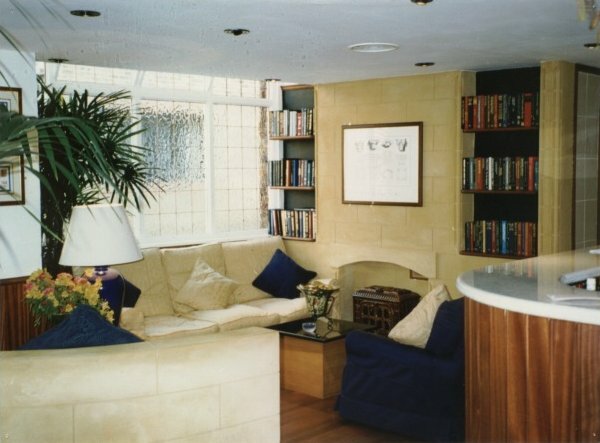 This area is formed in reconstituted stone with mahogany shelves and fittings. The front of the restaurant is the smoking area (at present) and has its own rapid extract ventilation system. 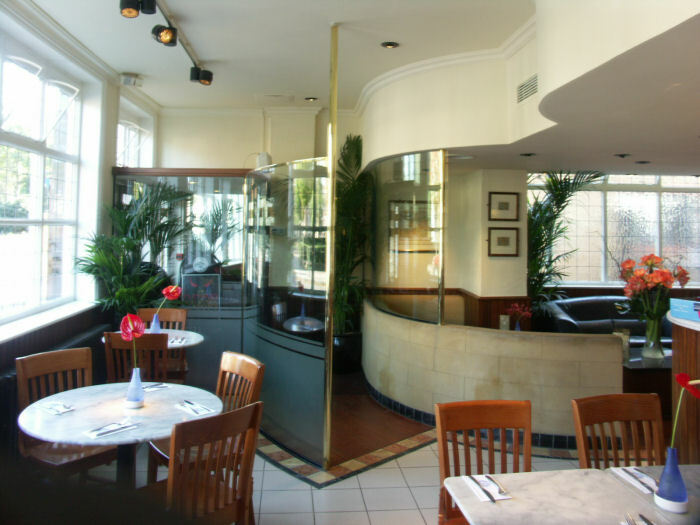 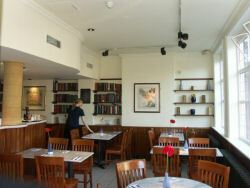 The whole of the restaurant has underfloor heating, plus some traditional radiators. 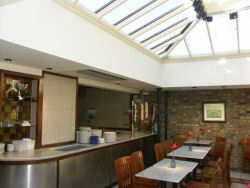 Bespoke conservatory roof to rear seating area. 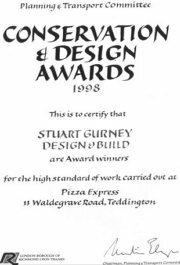 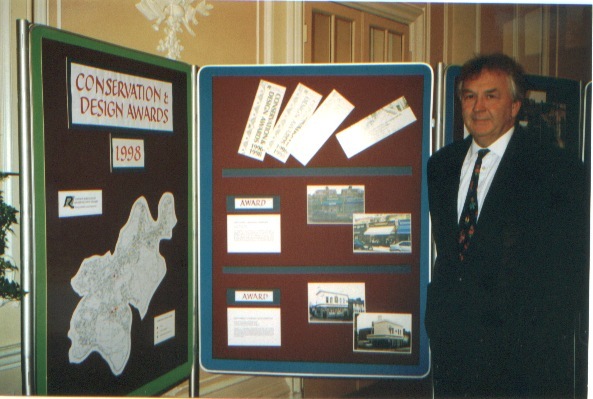 We were awarded the London Borough of Richmond design award for the Project. to the right Stuart at the award ceremony.